CCI | Go. Do. Be Dog. 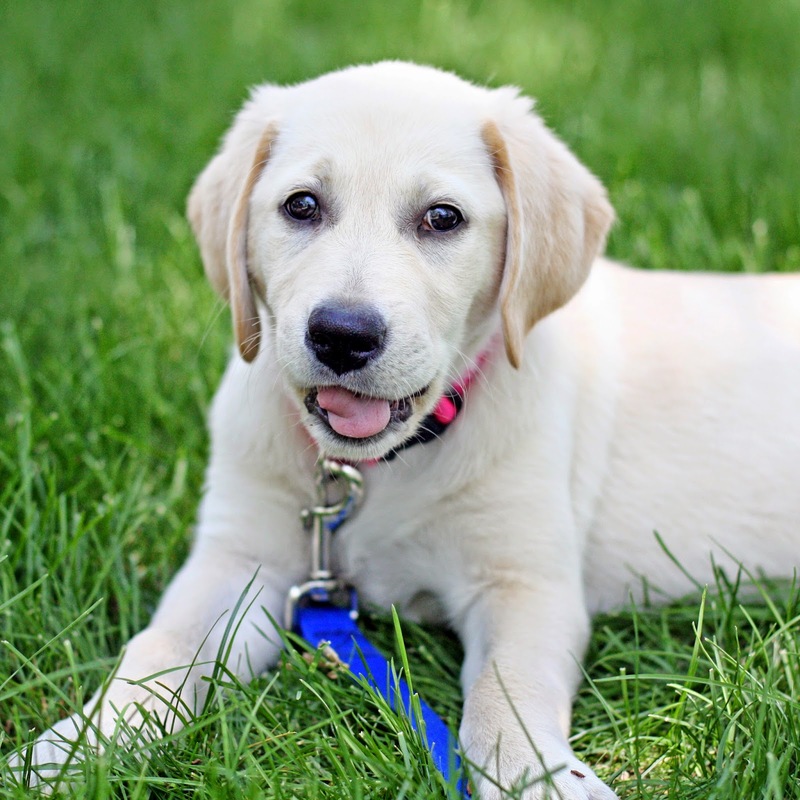 Posted in Canine Companions for Independence, CCI, Euka II, Eukanuba, Hero Litter, Holly, Watch Holly Grow. Bookmark the permalink. You came back! cries Holly. She does a four-paw slide across the kitchen flooring to greet me at the back door. Oof! Holly Don’t! I say, using her middle name. I just went to pick some dill from the herb garden. I was only out there for for a couple of minutes. The cat said you’ve been gone for days and I just wasn’t paying attention, said Holly. But I was! I was paying attention. I think he picks on me sometimes. Ya think? I say. Anyhow, little one, let’s see if we can get a calm greeting from you. This sliding across the floor and slamming into my legs is not becoming of a puppy as smart as you. 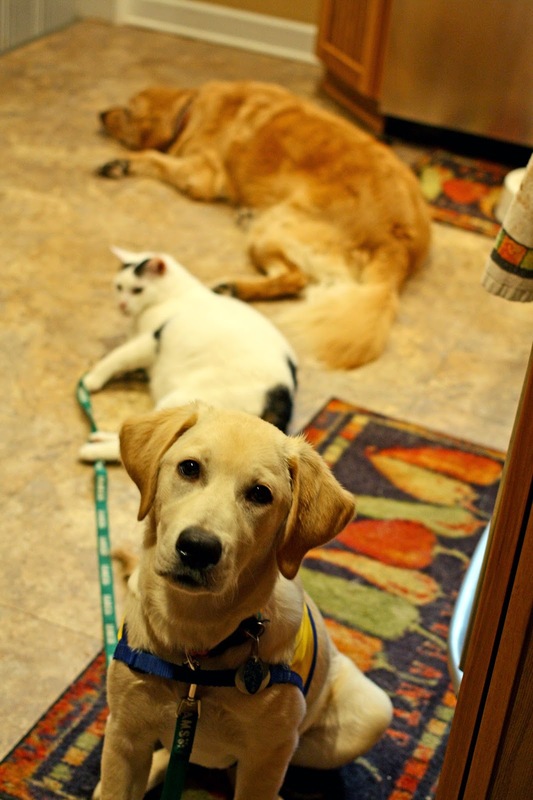 We have to get you ready for Service Dog College and Good Behavior will be on the test. But I am Puppy! says Holly. Hear me Rawr! Indeed you are, Holly Reddy, I say. Still, a puppy needs to learn self-control. 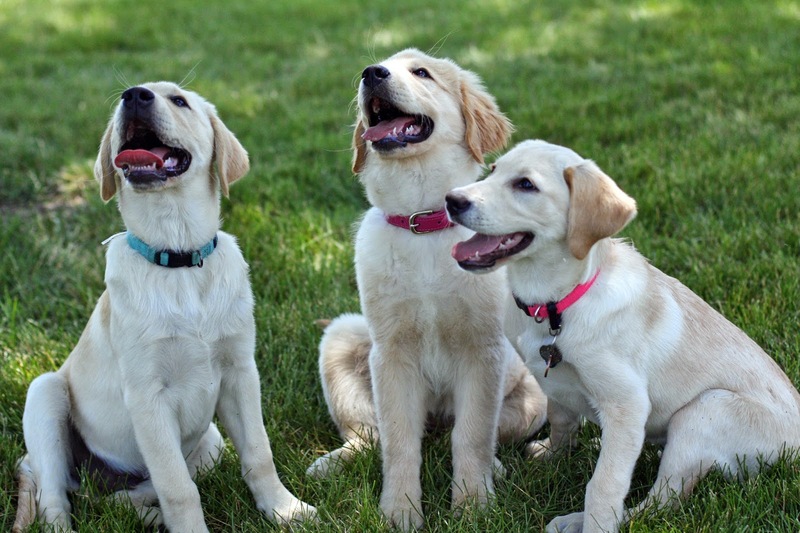 Especially one who is being raised to be an assistance dog. I have important work to do someday, says Holly. I remember. You told me that. Yep, and you know what else? I say. 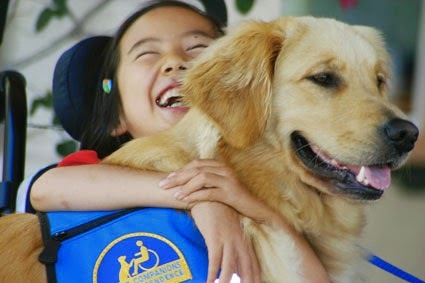 This week of August 3 is International Assistance Dog Week. I have a whole week? Really? says Holly. Wait a minute. I thought every day was a Holly Day Holiday. I know you think that, I say. 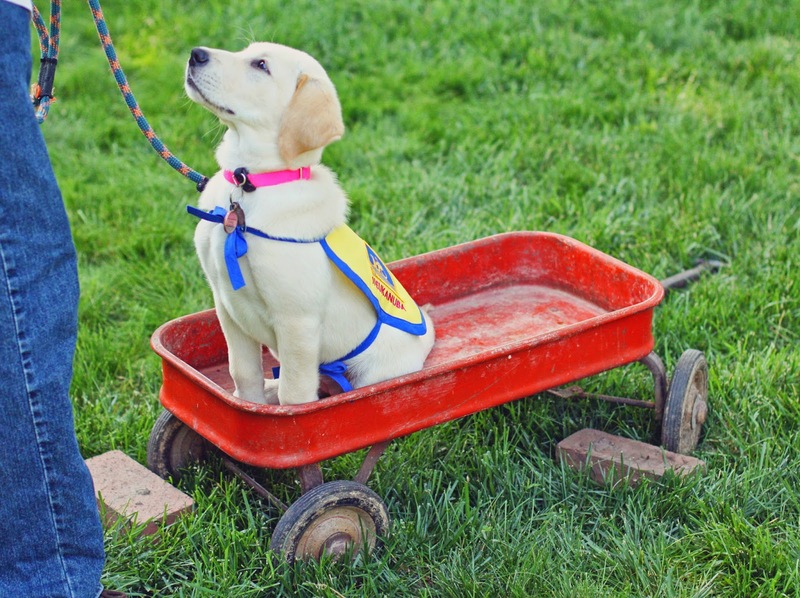 But I suppose even puppies being raised for an assistance dog career would be celebrated this week as well. It would fall into the spirit of things. 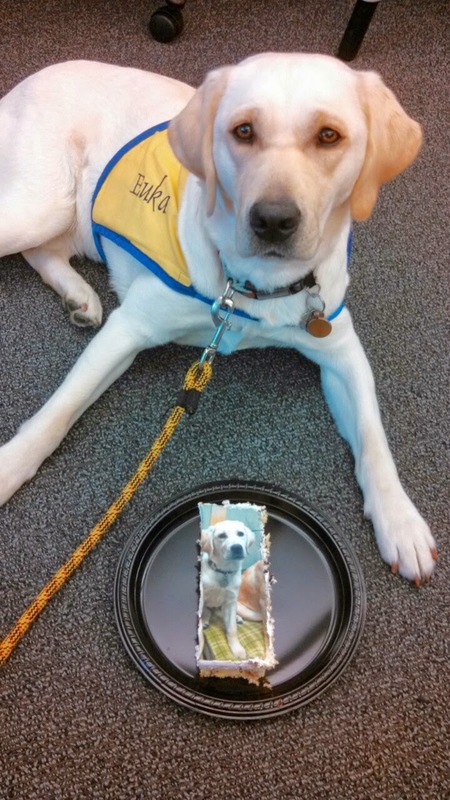 It’s all about raising awareness and a trained assistance dog doesn’t just get born ready to roll. There’s the Breeder/Caretakers, the Puppy Raisers, and a whole bunch of behind-the-scenes volunteers working at it before the puppy even makes it to Advanced Training. At least that’s how it works for Canine Companions for Independence, anyway, I say. So it takes a pillage or something? asks Holly. What? No, you mean it takes a village, right?, I say. I guess so. Our CCI village is country wide, though. 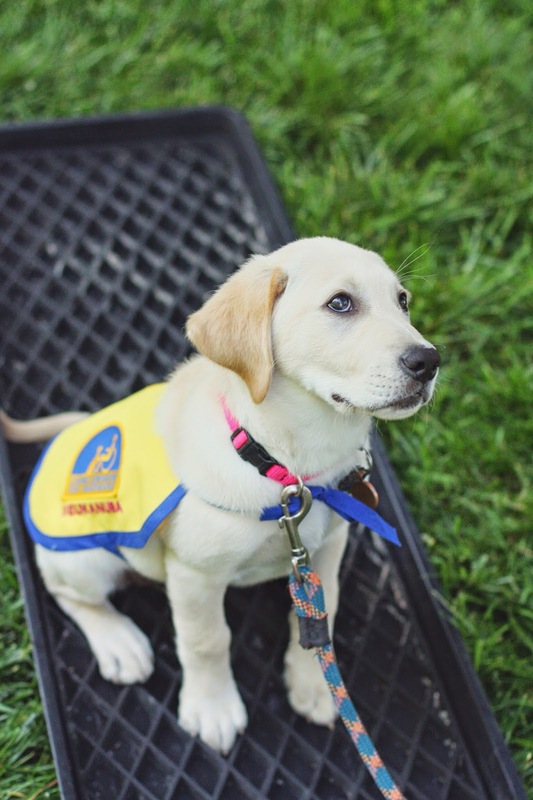 You little critters start off in California, then go off to one of the five Regional Centers to be placed with a Volunteer Puppy Raiser. 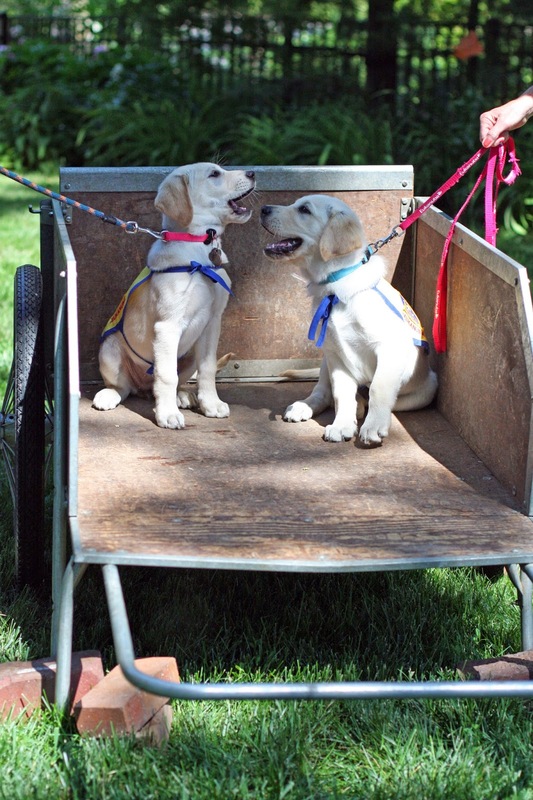 At last count, there’s nearly fourteen hundred puppy raisers with CCI. That’s a pretty big village. Maybe a better word is Community. In recognition of International Assistance Dog Week we’d like to offer up a closer look at what an Assistance Dog can do for folk. And who better to tell you than a handler? 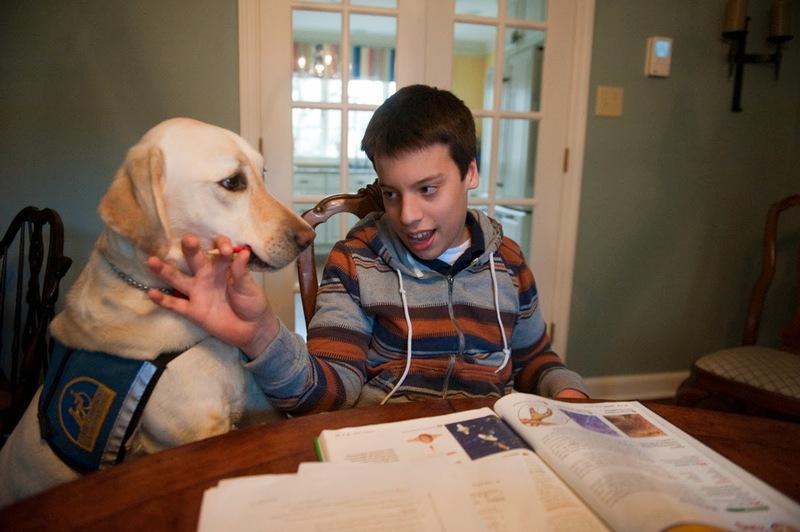 Only a person using an assistance dog can relate the joys as well as the challenges. 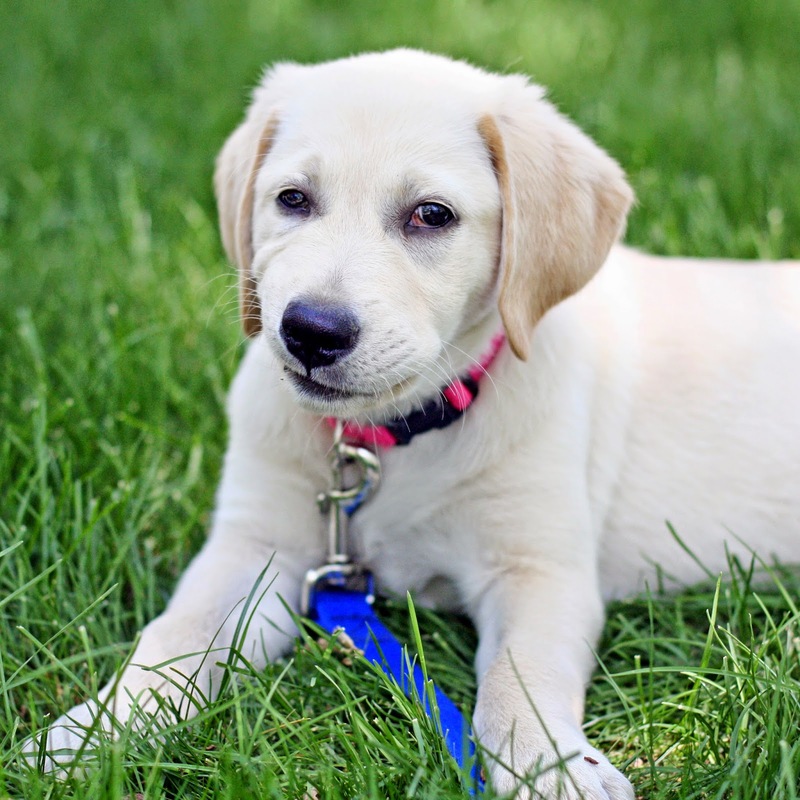 What CCI does not provide are Guide Dogs and Medical Alert Dogs. 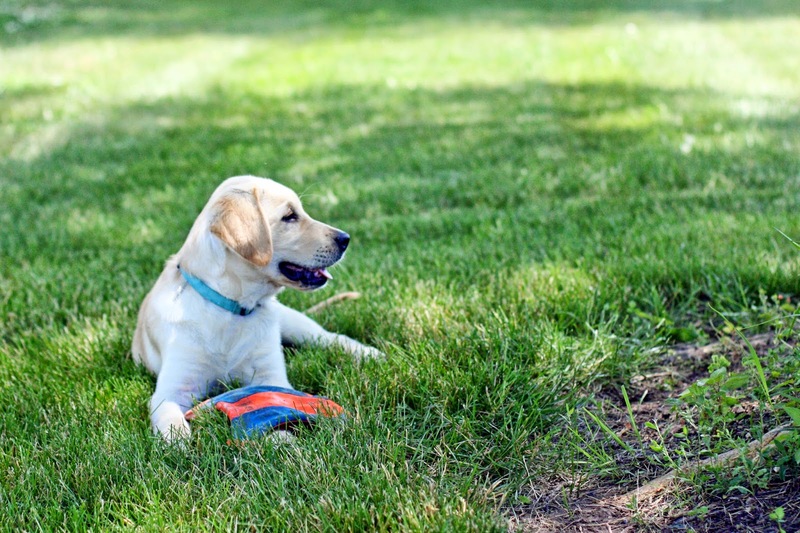 The type of dogs and training for these programs are actually very different. 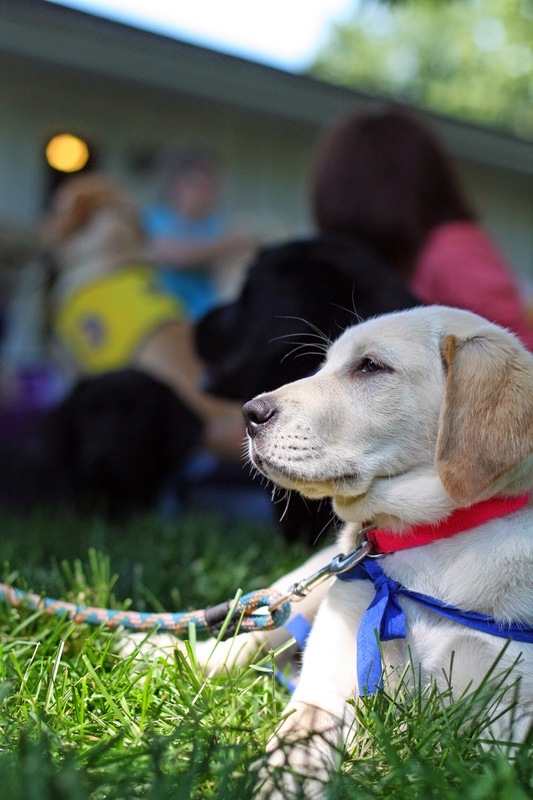 Several other organizations, such as The Seeing Eye, focus in these areas. So here we’ll share links to the awesome teams of CCI, as well as a look into of the world of some other working teams. 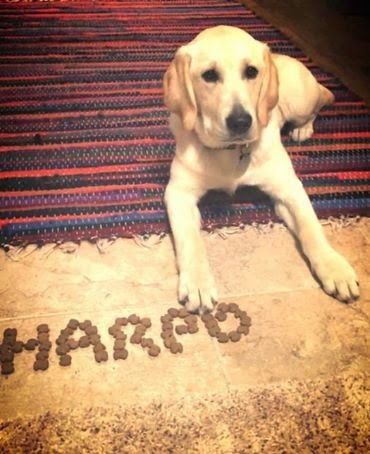 Do you know an assistance dog team active in social media that should be added here? Drop a comment with a link, won’t you? 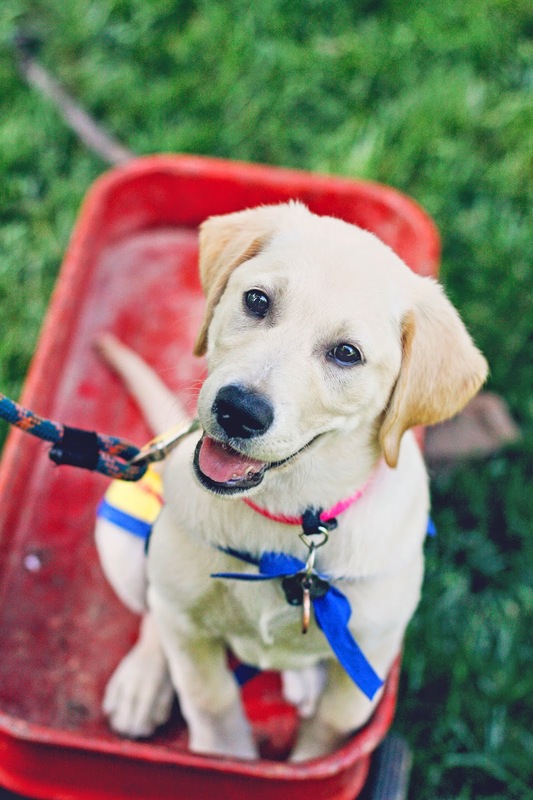 Posted in Canine Companions for Independence, CCI, Holly, International Assistance Dog Week. Bookmark the permalink. Hey, Food Lady, says Holly. This cape is giving me an armpit wedgie. ‘Tis true, our sassy girl is growing out of her training cape. 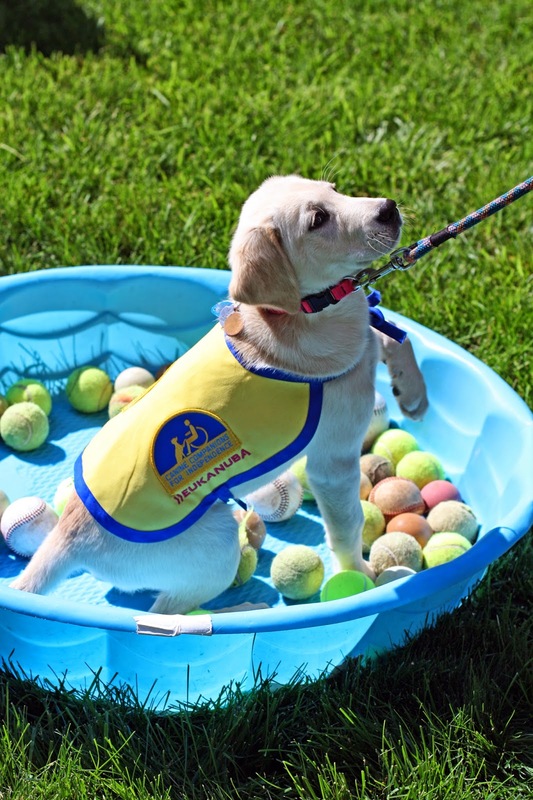 Being the more petite of the Canine Companions for Independence Hero Litter, I wonder how the rest are faring with theirs. Hold on, young pups, and keep those tummies tucked in. 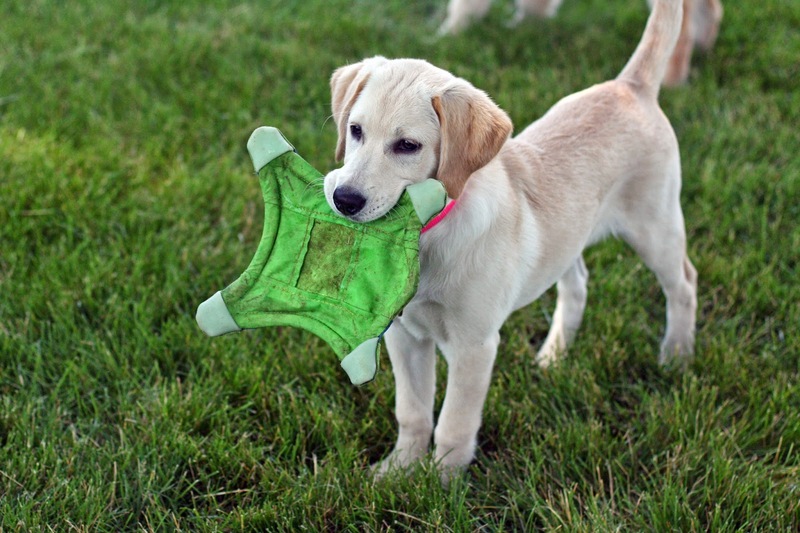 You’re almost old enough for your big pup training capes. 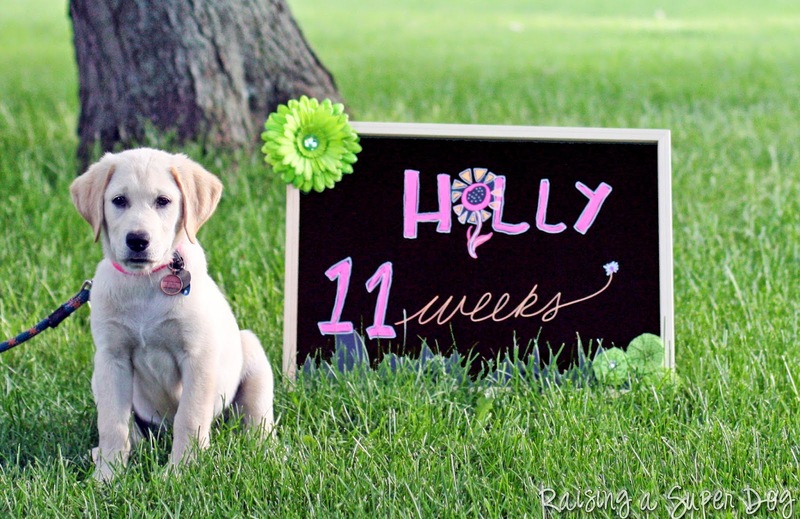 Posted in CCI, Hero Litter, Holly, Watch Holly Grow. Bookmark the permalink. Didja hear wab Foob Lady seb? asks Holly. What? asks Harvest. Hey! Ow! 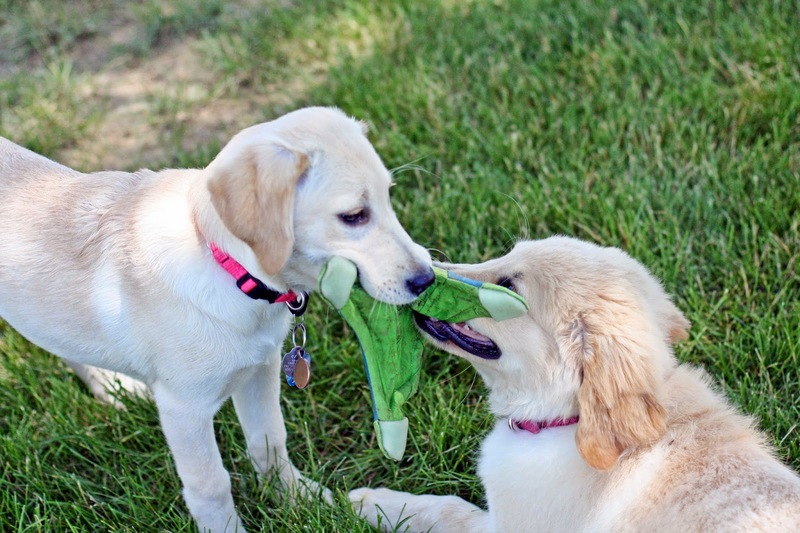 Holly lets go of her sister’s hind leg and clears a dog hair from her throat. [ahem] I said, she says, did you hear what Food Lady said? Hoagy’s gonna come at lunchtime to play. With her leg now free, Harvest tosses Holly on her back. She jumps on top and starts to gnaw on Holly’s front leg. That’s cool. says Harvest. We could use some fresh meat. You know, so to speak. And something else, says Holly. Food Lady says we get to see the Kota too. Yikes! You’re biting too hard, Harvest! Ain’t no thing but a chicken wing, says Harvest. Nom-nom-nom ha ha ha ha! Seriously though, what’s a Kota? I dunno, shrugs Holly. But Food Lady told me we have to treat the Kota with ‘spect. I have no idea what that even means. My turn! Give me your leg. Respect means [ow] we can’t chew on it, says Harvest. Maybe the Kota is a strappy sandal. Criminy, Holly! Stop using your back teeth! No, the Kota isn’t a shoe, you toe-eater, says Holly. Food Lady says the Kota is a special kinda dog. She said it’s very powerful and uses mind powers to control other animals. Ow, that’s my ear! I think you hit bone that time. Oh sure, like it has ESPN or something, says Harvest. That makes no sense, Holly. Roll over and I’ll get your other ear bone to match the red marks. No really, says Holly. The Kota is supposed to be fast and strong. Like with super speed and it can catch flying things in mid-air! That’s nothin’, says Harvest. Watch me do that! Ow, my tail! cried Holly. Oh hey, and and get this … the Kota [dang it! ow!] is black and white. Not yellow like me, you and Hoagy. Now I know [ow! ], says Harvest. You’re pulling my leg. Some better met than others. Holy cow, what a good dog, Lakota. 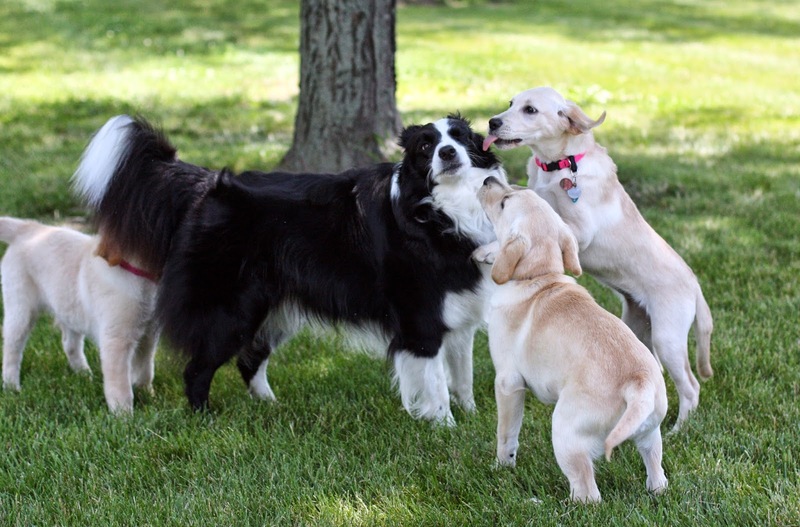 While Holly and Hoagy ask for the doggy version of an autograph of the legendary Lakota, Harvest invests some time in researching the family history of the border collie. Lakota in the meantime, permits this attention from his new fandom. No prob, says Lakota. So long as they leave my flying squirrel thingies alone. Oh sure, you can catch this thing in mid-air. 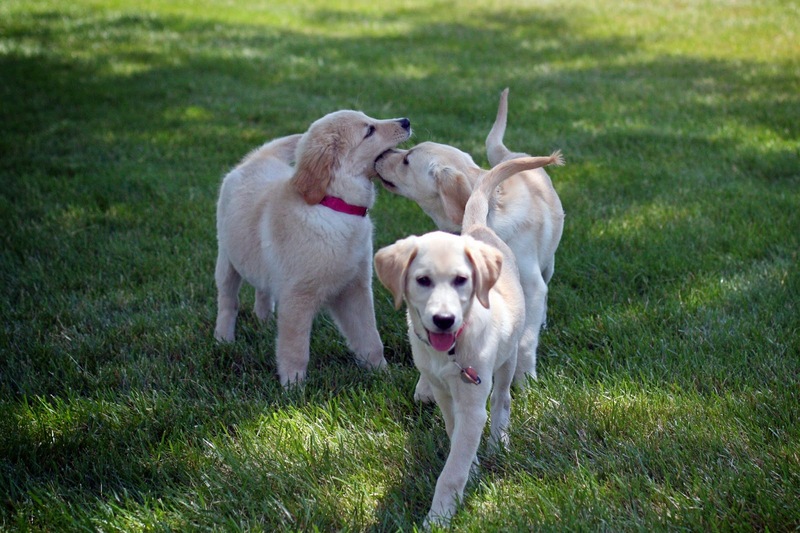 Yeah, so anyway after the initial howdy-dos, the three Hero pups went back to merely assaulting each other puppy-style. No, no I’d say you got two more kibbles for lunch than I did, says Hoagy. Did somebody say Lunch? says Holly. The Kota was left in peace to do his legendary feats of catching flying objects from mid-air. Which is all he really wanted out of the deal anyway. A good thing he brought two flying squirrel thingies. 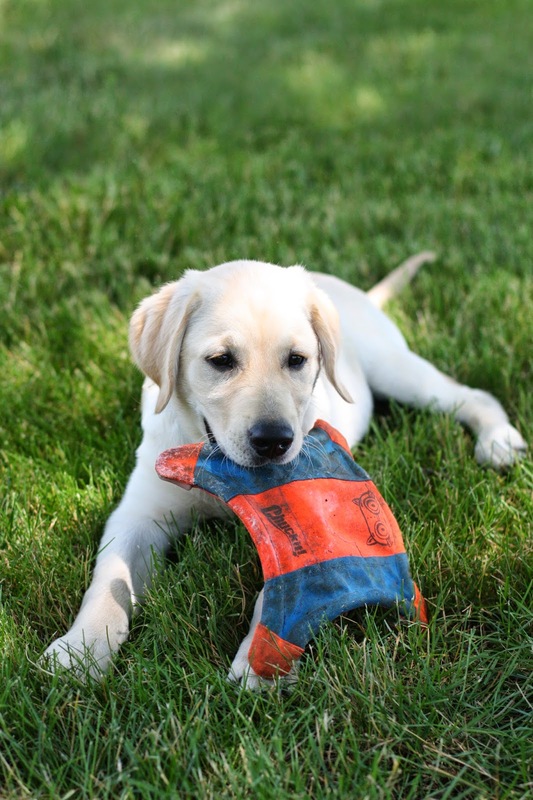 Posted in Canine Companions for Independence, CCI, Harvest, Hero Litter, Hoagy, Holly, play. Bookmark the permalink. Holy cow, it’s been forever since we’ve offered up a Caption This. So we’ll start this off with a You’re Welcome when you see that I didn’t pun y’all with saying fur-ever. And I have to tell you this, too. I was sorely tempted to use the saying Donkey’s Years after having just read this phrase in a Stephen King story, of all places. I haven’t heard anyone say that in, well … you know. Turns out that Donkey’s Years is an eggcorn from Donkey’s Ears. Like, it’s been as long as a donkey’s ears. But we don’t want to suggest a negative body image to a lovely pup who has yet to grow into her own air flappers, now do we? Still, this expression on Holly’s adorable mug is worthy of a caption, I think. Holly: The cat called me a What?! Me: Holly! Whacha rolling around in your mouth now? Holly: Hey, Food Lady! D’ya like seafood? And now let’s open it up to more ideas. Drop us a comment with your clever dialogical thoughts. 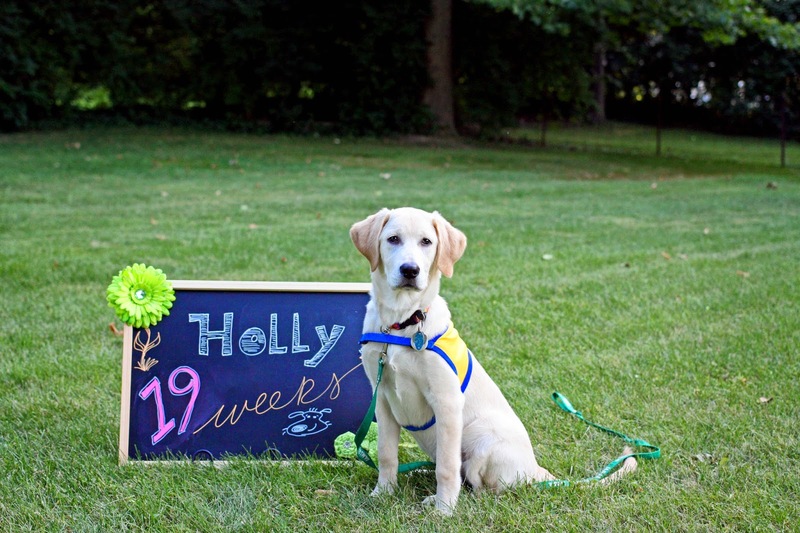 Posted in Canine Companions for Independence, CCI, Hero Litter, Holly, photo caption, Wordless Wednesday. Bookmark the permalink. Not quite two months old, our Heros are still insisting on growing up. 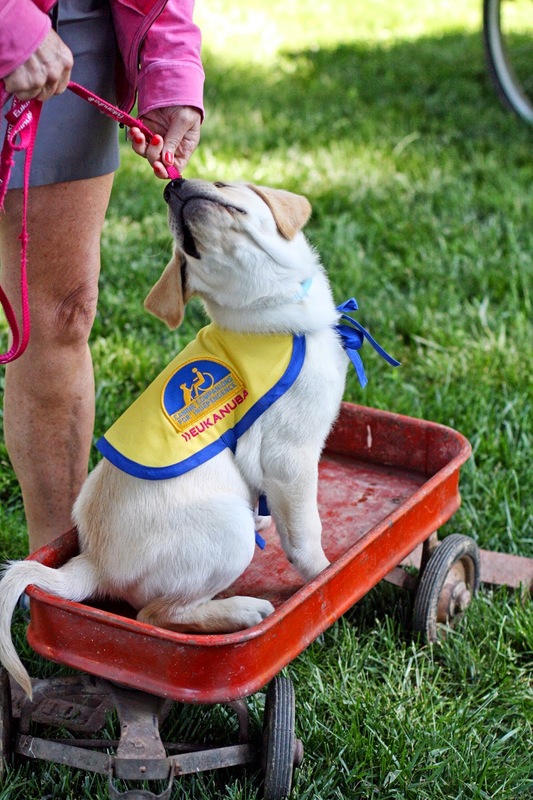 The Canine Companions for Independence Hero Litter – Holly, Harvest, Harpo, Hala, Hoagy, Harbor and Hudson – are across the country with their puppy raisers now and ready to rock the world. 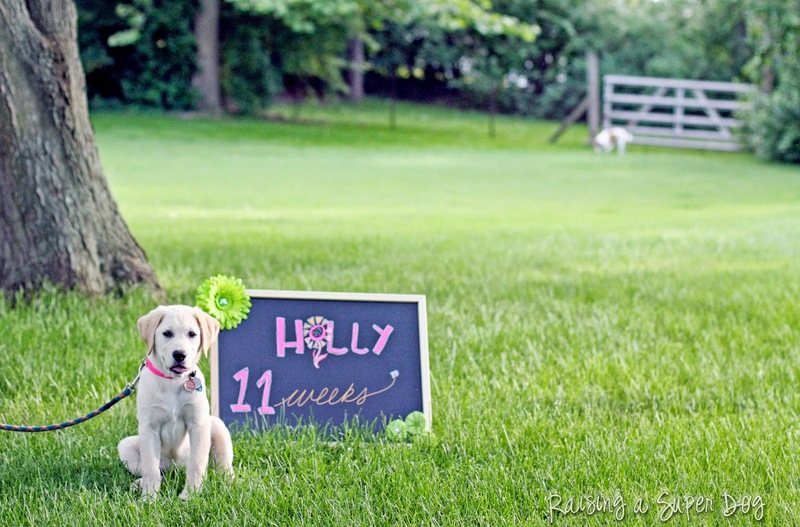 Here’s our Miss Holly at her Eleven Week photo shoot, looking all sassy and ready to prey on another inappropriate choice to chew upon in the great outdoors. While I admit to have lowing my standards on permitting the occasional bug nom nom, we did put the ixnay on sticks and twigs. There’s a certain cringe factor when one imagines how such things could gum up the delicate innards of a growing pup. Do notice the photo bomb off in the background here. Our little Jagermeister may not have been the subject of the day but, he says, he is a force not to be ignored. A Jager Bomb, so to speak. 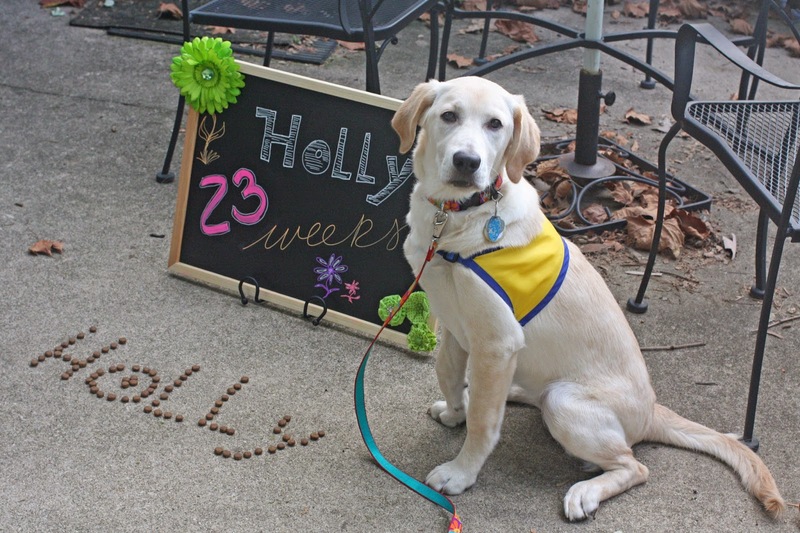 Posted in Canine Companions for Independence, CCI, Hero Litter, Holly, Watch Holly Grow, Wordless Wednesday. Bookmark the permalink.